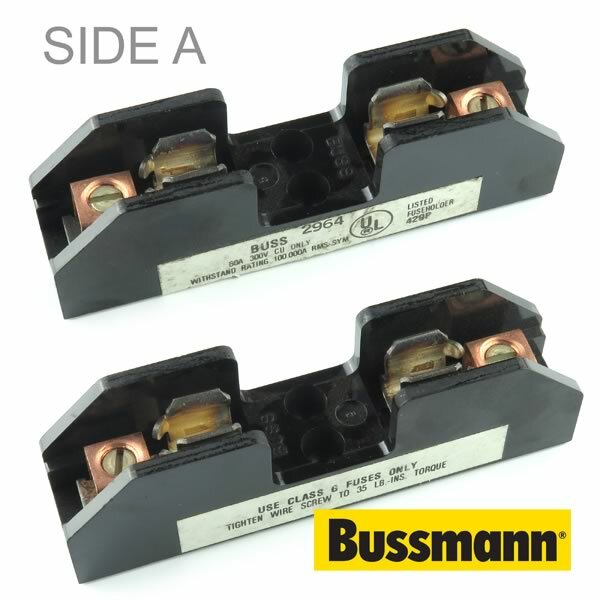 Made for Type G Class fuse, this large fuse block by Buss is rated up to 300V @ 60Amps. Has 2 screw terminals for 10 to 14AWG wire. Size about 4.25" x 0.97" wide x 1.27" tall. Buss Model 2964. May have slight tarnish of silver plated contacts. Retails for over $11 each.